Get in tune using and iPhone or iPod touch with this helpful cable adapter. The Peterson iPhone and iTouch Adapter Cable is specifically designed to function with your iPhone or iPod touch (2nd Gen.). This 3.5mm adapter cable connects instruments, microphones, or tuning pickups to its 1/4" plug. Plug the other end of the adapter cable directly into your device using the headphone jack, and you're ready to go. For guitar or bass, plug Peterson's cable directly into your instrument. For tuning or using a wind or brass instrument, plug in an external microphone. This Peterson Adapter Cable can be used with any application requiring an audio input and will not interfere with your charger connector. 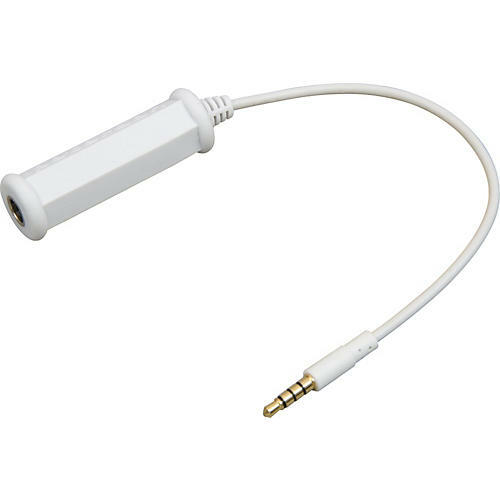 Pick up this simple adapter and you're a more mobile musician then ever before. Order today.